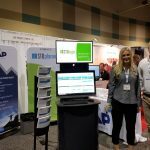 San Antonio, TX— July 31, 2018 — At the marcus evans’ 10th Annual Chem/Petrochem & Refinery Shutdowns and Turnarounds Event in San Antonio, Texas, KAP Project Services and Mobideo Technologies announce a strategic partnership to deliver end-to-end STO planning and real-time execution management solutions to asset intensive industries. KAP Project Services, a leading project controls and project services provider for the oil, gas and petrochemical industries, has integrated Mobideo, a worldwide leader in industrial workforce management, into a comprehensive solution that changes the way companies plan and execute STO events. The turn-key STO event management solution delivers technology and proven methodologies across the five main components of an STO event; scoping and definition, planning, scheduling, execution and post event analysis. Positive Customer Impact The KAP group of companies along with the power of Mobideo’s Industrial Workforce Management platform will provide visibility and accountability across the entire turnaround lifecycle. STOlogix is focused on providing transformational technology solutions that change the way owner-operators plan and execute an STO event, offering a complete event management platform customized to client’s specific needs. By optimizing the planning and scoping process and increasing efficiencies we can reduce the project controls effort throughout all phases. Tactexs offers solutions designed to drive an improved customer bottom-line through successful STO event and capital project work execution. 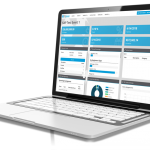 The core solution offering, C2Stat, delivers industry transformational turnkey STO event execution with experienced management teams and proven methodologies combined with software technologies that dramatically improve visibility, communication, and collaboration. The C2Stat solution brings a solid return-on-investment with assimilation as a core customer corporate strategy. Mobideo Technologies is an international provider of Industrial Workforce Management (IWM) Solutions for Owner-Operators in asset-intensive industries. The Mobideo mobile work execution platform dramatically improves field-force productivity and coordination by delivering detailed task instructions and supporting information to workers digitally, while providing trusted real-time status information that enables STO managers to make better decisions, faster. Mobideo’s analytics capability allow you to measure and analyze performance; plan future activities based on hard data and record and leverage best practices within your organization.